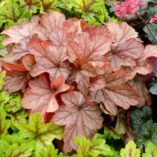 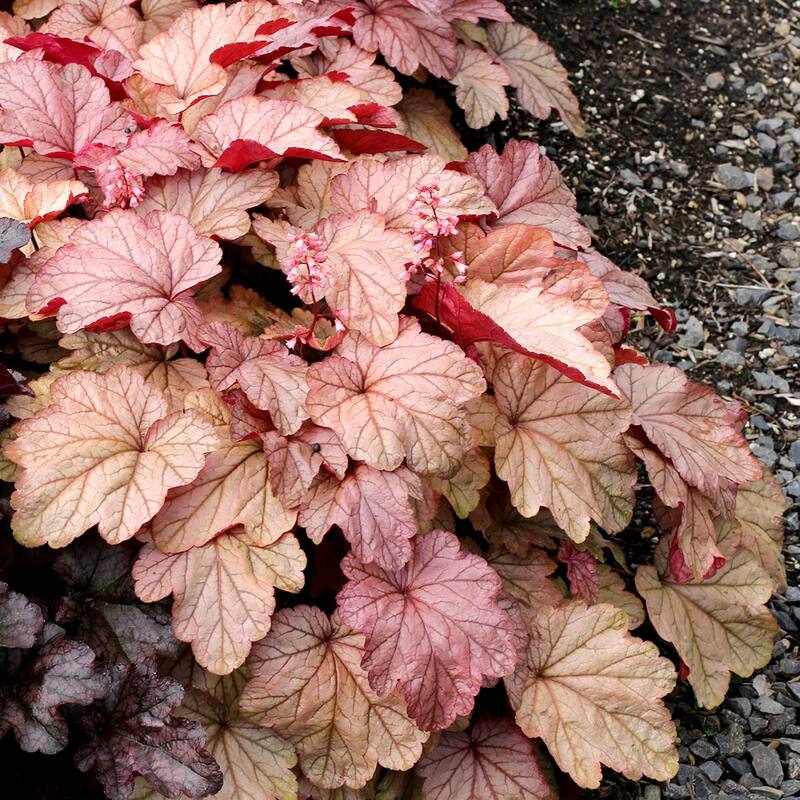 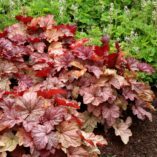 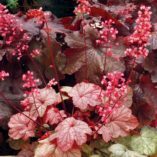 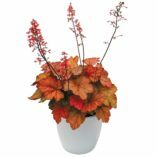 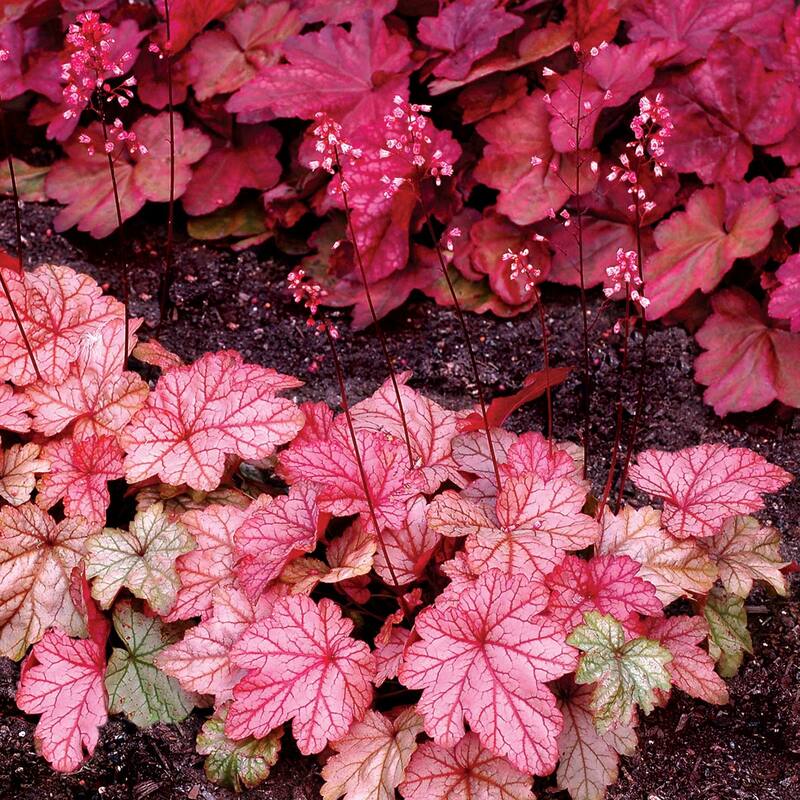 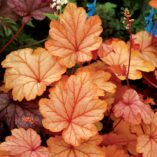 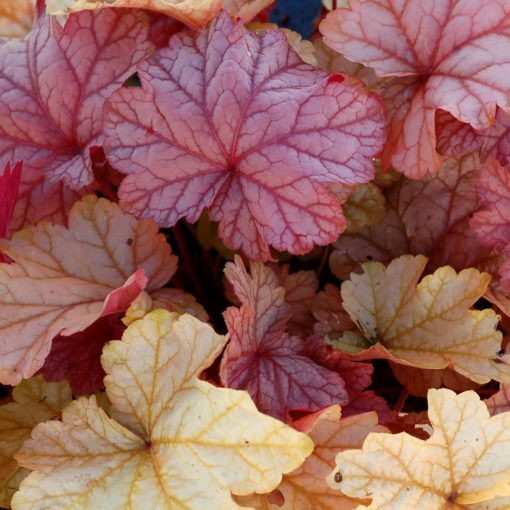 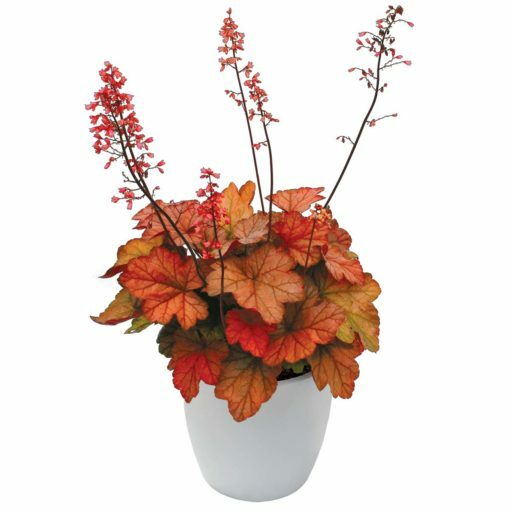 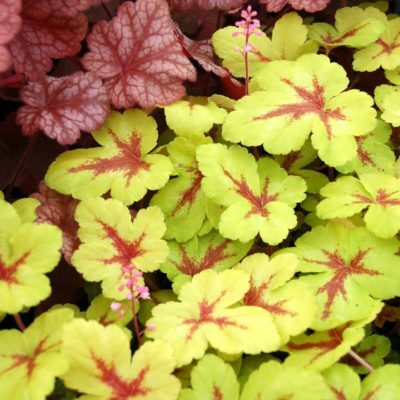 Heuchera ‘Vienna’ | TERRA NOVA® Nurseries, Inc.
Heuchera 'Vienna' is a bastion of artful traits; compact plants that produce a multitude of rose pink flowers on tight spikes. The plant continues to rebloom over veiled, multitoned, orange red leaves. 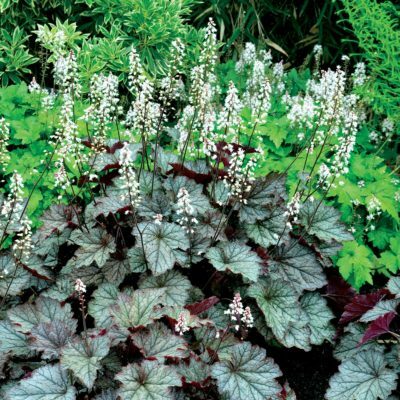 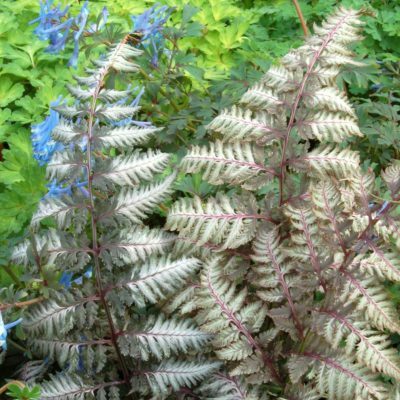 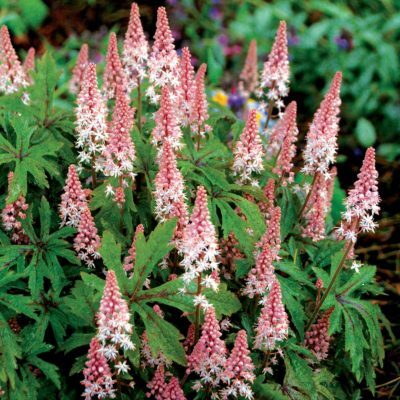 This plant can be a centerpiece in a small pot, or can offer a supporting role in the landscape. 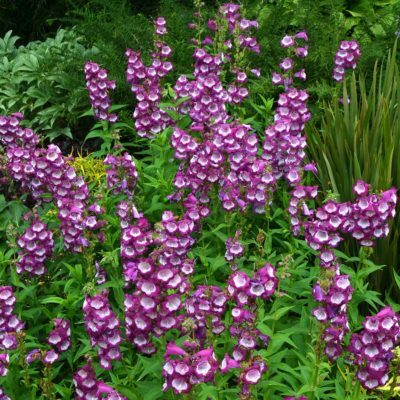 One of our CITY™ Series, all of which are noted for their compact habits and amazing bloom power. 7" / 15" / 16"
Compared to 'Peach Flambé', 'Vienna' has leaves that are more angular and veiled. The leaves are more orange and hold the color through the summer. The flowers are rose pink and more showy.